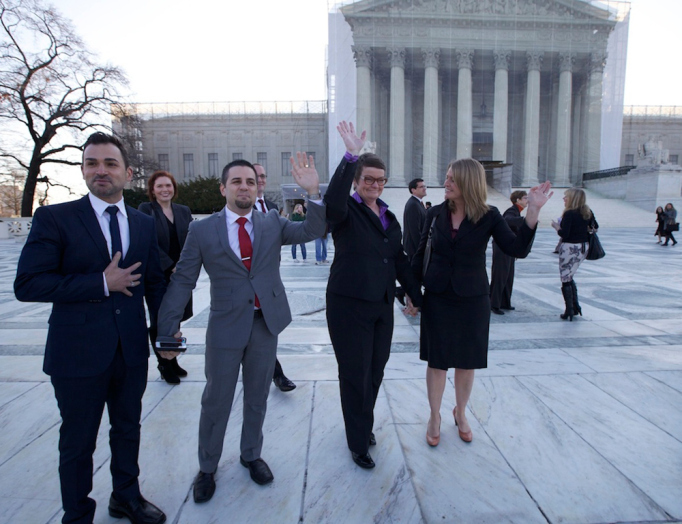 The Sundance Film Festival announced today that it will feature “The Case Against 8,” a behind-the-scenes look at the AFER’s federal court challenge for marriage equality, the first of its kind to reach the U.S. Supreme Court. The full-length documentary directed by Ben Cotner and Ryan White is one of only 16 documentaries selected for the prestigious film festival in January 2014. Shot over the course of five years, the film follows AFER’s plaintiffs, Kris Perry & Sandy Stier and Paul Katami & Jeff Zarrillo, and attorneys Ted Olson and David Boies who came together to challenge Proposition 8 in federal court. The case resulted in a landmark trial that became and truth commission on marriage equality, a historic 136-page decision that found Prop. 8 unconstitutional, and the restoration of marriage equality in California.